Using recently discovered letters, legal papers, and photographs, this audiobook delves into the life of Abraham Lincoln. 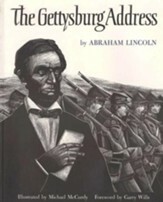 Depicting him as a person of intellectual curiosity, comfortable with ambiguity, and capable of changing his mind, White treats the listener to an exploration of this great man's compelling words, his changing ideas on slavery, the shaping of the modern role of Commander-in-Chief, and his surprising religious odyssey. 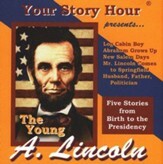 This audiobook sheds an innovative and profound light on our nation's most beloved leader, allowing the next generation to realize that Lincoln was, indeed, a man of integrity. Unabridged audio CD; approximately 28 hours; 23 CDs; performed by Bill Weideman. In this important new biography, Ronald C. White, Jr. offers a fresh and fascinating definition of Lincoln as a man of integrity—what today’s commentators are calling “authenticity”—whose internal moral compass is the key to understanding his life. Through meticulous research, utilizing recently discovered Lincoln letters, legal papers, and photographs, White depicts Lincoln as a person of intellectual curiosity, comfortable with ambiguity, and capable of changing his mind. 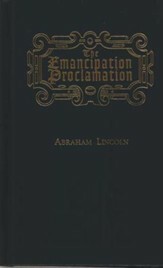 The reader is treated to an exploration of Lincoln’s compelling words, his changing ideas on slavery, the shaping of the modern role of Commander-in-Chief, and his surprising religious odyssey. A. Lincoln, so titled for the way Lincoln signed his name, sheds an innovative and profound light on our nation’s most beloved leader for a new generation of Americans. 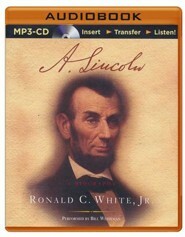 RONALD C. WHITE, JR. is the author of Lincoln’s Greatest Speech and The Eloquent President. He earned his Ph.D. at Princeton and has lectured on Lincoln at hundreds of universities and organizations including Gettysburg and the White House. He is presently a fellow at the Huntington Library and a visiting professor of history at UCLA. He lives in La Cañada, California. 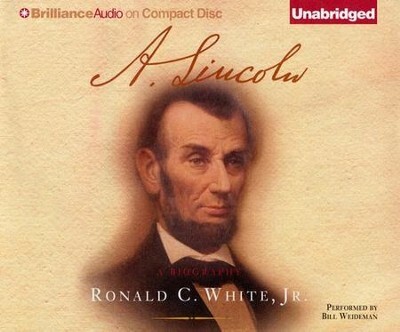 I'm the author/artist and I want to review A. Lincoln: A Biography - Unabridged Audiobook on CD.